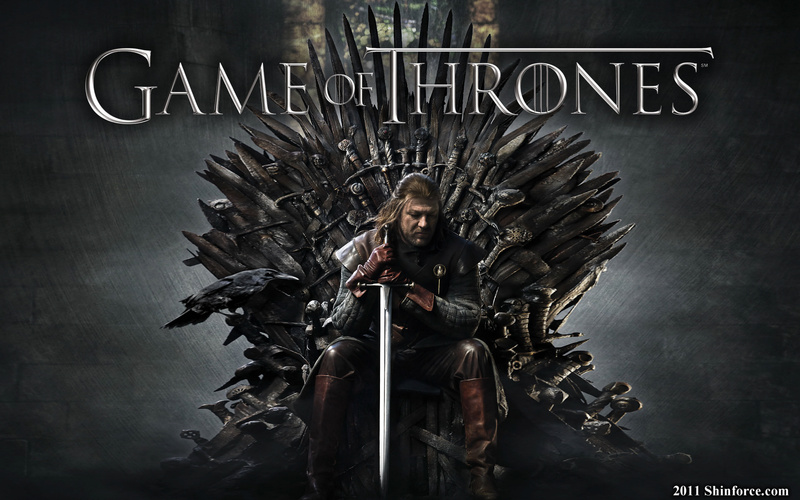 The Buzz Ltd. | The Secrets of Game of Thrones Digital Marketing - The Buzz Ltd.
Of course, the #1 guideline to successful marketing is to have a great product. If you’ve developed a great product, the product itself becomes the marketing. Think about the introduction of the original iPod, a product so drool-worthy, it practically sold itself. That’s the case with HBO’s hit tv show, Game of Thrones (GoT). The 70-minute season 6 finale broke the viewership record held by the season 5 finale, netting 8.89 million viewers on Sunday 26 June. Overall, the average season viewership of the show has tripled from 2.52 million in season one, to 7.69 million in season six. The show also has the added distinction of being the most pirated tv show ever for four years in a row. Despite drawing upon stellar content, culled from over 20 years worth of detailed story development, HBO still heavily invests in Digital Marketing. A wide range of quality, original content is developed to market the show across a plethora of channels. The dense, rich, quality content available on the Game of Thrones website satisfies the needs of different kinds of users. There are discussion areas for those who want to talk about GoT. There’s detailed background information about shooting locations, props, costuming and cast & crew bios for those who are interested in the craft of film making. For those who love the fictional world of Westeros & Essos, there is in-depth content documenting the world’s 1,000 year history, its locations and its multi-generational family dynasties. Finally, for those who want to ‘represent,’ there’s digital and real-world merchandise available to declare your affiliation to GoT. The GoT Viewer’s Guide is devoted to unveiling the socio & geopolitical impact of unfolding events on an episode-by-episode basis. An episode’s main characters, character lineage and locations are explored. With such a large cast and vast sprawling story, the Viewer’s Guide acts as a companion booklet to the series and details each character’s relationship to the rest of the story. MakingGameofThrones.com is the official Production Diary of GoT show delivering behind-the-scenes chatter about the cast, crew and creators. Also get the latest news and event buzz surrounding the show. GoT marketing extends to the most prominent social media channels, including Facebook, Twitter, Instagram, Pinterest, YouTube & Tumblr. Each channel provides content devised to match the audiences, interests and strengths of that individual channel. Very rarely will all social media channels post the same content. Twitter content primarily consists of retweeting cast member quotations, jokes and reactions. The account’s 3.9 million followers also receive retweets of popular content from Twitter accounts with large followings. For example, @GameOfThrones retweets Entertainment Weekly, Access Hollywood and Variety. Much of the GoT Twitter content is multimedia – ranging from photos, illustrations, video clips to animated GIFs. HBO & Twitter are so important to each other, Twitter has partnered with HBO to provide a branded icon which appears with the use of the hashtag #GameOfThrones. During and immediately following new episodes, GoT topics will top Twitter’s Trending Topics, helping amplify the digital chatter surrounding the show. With 2.4 million followers, practically, 100% of the Instagram feed comprises of photos of the cast holding their Dorbz bobble-headed doll avatar. Sometimes the dolls will be posed in scenes taken from the show, with captions reflecting that scene’s dialogue. Pinterest content is devoted to Westerosi culture – popular sayings and songs, fashion and food, creatures and locales. Pinterest users are collectors and planners. Pinterest users plan events or other projects, thus recipes and costuming for for GoT-themed events and cosplay would be welcomed. Tumblr is widely regarded as the home of Fandoms. Movie, TV, Comic and Gaming fans gather on Tumblr to celebrate and disect their fandoms. The GoT Tumblr account is therefore an ode to GoT fans, focusing on acknowledging fan art. Chief among GoT fan artists is, Robert M. Ball, who is commissioned by GoT to post his official fan artwork to Tumblr-hosted beautifuldeath.com. Content for YouTube provides a brief snapshot of the GoT episode timeline as it stands. Content surrounding each episode takes a standard format – a recap of the previous episode, a teaser of the coming episode, an Inside the Episode segment featuring the showrunners, Anatomy of a Scene with the episode’s crew and a chat about a given scene the relevant cast members. The channel acts as a fan Cliff Notes’ during the season’s runtime. For the analysis and discussion-minded, GoT YouTube channel also provides clips of its much-maligned companion chat show, After the Thrones. With the transcendent score accompanying the season 6 GoT finale, GoT’s musical score gained even more prominence. The official GoT Spotify account has 31 free, streaming playlists, each one themed around a particular character. A Spotify listener completes a personality-themed quiz to be assigned a GoT character-match and that character’s music choices. GoT marketers also invest in stand-alone apps or activities to generate engagement with the brand. Visit JoinTheRealm.com to generate a house sigil or coat of arms of your own. In a nod to the current, US presidential elections, visit TheGoTParty.com to vote for your 2-person team to lead Westeros. Of course, the ultimate interactive opportunity is to experience GoT IRL (in real life). GoT maintains a presence at the largest fan conventions, props and costumes regularly tour world-class museums and there are tours of the real-life shooting locales. With a show so compelling that even Apple’s digital assistant, SIRI, claims to watch, it’s astounding that the marketing content-creators say so much, yet say so little. With the wealth of content produced to market the show, there are few inadvertent spoilers. The GoT marketing content artfully amplifies the chatter and buzz surrounding the show without shooting themselves in the foot. With such varied and rich content developed in support of the show, it begs the question, did the supporting content grow the show’s audience or did the show’s audience trigger the supporting content?